I’m shocked. 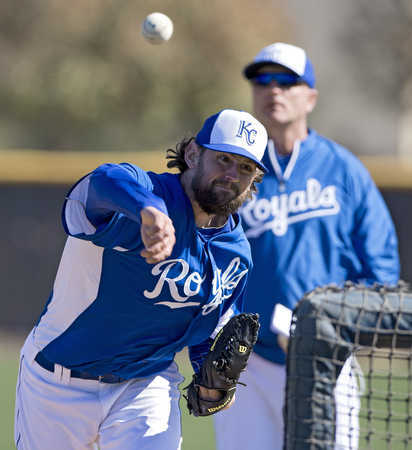 I thought there was no way Luke Hochevar would NOT start the year as the Royals number five starter. All we have heard the last couple years is that he is rightthere and is about to turn the corner. We have heard countless sound bites from manager Neddy Yost and pitching coach Dave Eiland about how great his ‘stuff’ is. We’ve heard GM Dayton Moore discuss how great Hochevar’s ‘stuff’ is to the point that it sounds like he has a bromance with Hoch. 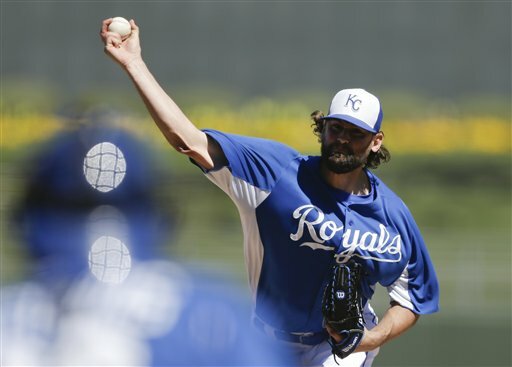 While almost every Royals fan has screamed for Hochevar’s release, Royals management stood by him no matter how bad he pitched. Every blowup, every imploded inning, every Opening Day meltdown. The Royals have stood by and said they believe in Luke. Next to Frenchy and maybe Getzie, Hochevar is Kansas City’s ‘Golden Child’. So to find out today that he is being shipped to the bullpen is a shocker. I didn’t see it coming. That doesn’t mean it isn’t deserved. Oh no, it is very deserved. So far this Spring, Hochevar has given up six runs in eight innings pitched for a ridiculous 6.75 ERA. While Bruce Chen and Luis Mendoza have looked good(except for Chen’s last outing), Hochevar sucked it up in classic Hochevar style, pretty much like we are used to. In his second outing of the Spring, Hochevar allowed three hits and a walk in the three innings he pitched, yet gave up no runs. I really felt that was amazing, considering every time I checked the game a runner was on base. But Hochevar’s luck ran out on Sunday when he gave up four runs, five hits and two walks in the 3.1 innings he threw that day. Apparently that finally opened up management’s eyes to Hochevar. I have no clue what was different between that and the last few years. It really did seem like a normal Luke outing. He ‘Hoched’ it up, so to speak. 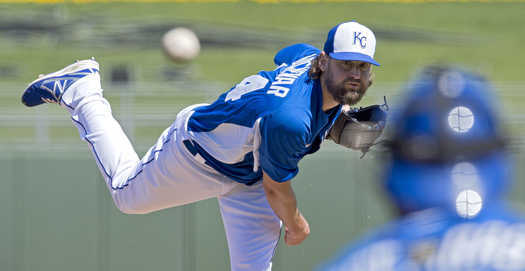 With less than three weeks until Opening Day, it will be interesting whether we actually see Hochevar pitch out of the bullpen in a regular season game. I have a feeling this will go one of two ways. The first option is for him to actually work out of the bullpen. As much as I’ve been calling for his head, I am intrigued to see how he can do out of the bullpen. I mean, he does have ‘stuff’. Good ‘stuff’, especially if you ask Neddy Yost. Yost views him as a guy coming in for an inning in the 7th and 8th and throw some of that nasty ‘stuff’. Hey, there is no lie that the guy lights up the radar gun and has some movement on his pitches. No one has ever questioned that. His issue has been when he has allowed runners on base and the meltdown that is always soon to follow. One wonders if Hochevar is allowed to come out of the pen and just throw gas, will that make him more focused and not have to worry about saving himself for later innings? It might. 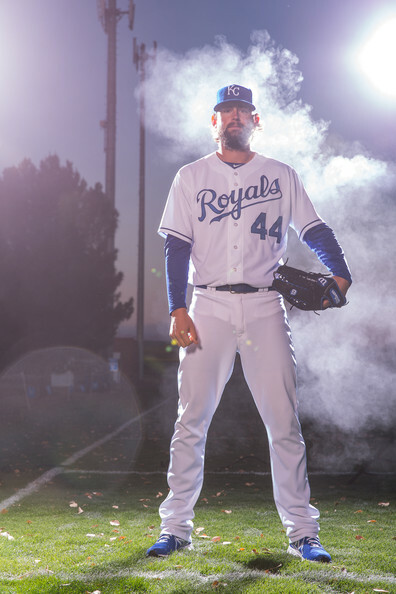 If he can harness his ‘stuff’, then he can be a lethal arm to add with Aaron Crow and Kelvin Herrera in the late innings of a close game before handing the ball over to closer Greg Holland. I actually wondered last year if that would be a good option. But let’s be honest here for a minute. If that happens, and Hoch works out of the bullpen, I think it’s pretty safe to say that this is his last chance. If it doesn’t work coming out late in the game, then he will find himself on the unemployment line. The other option is a trade. Dayton Moore has been trying to work out a deal for Hochevar since the winter, but I’m pretty sure no one is willing to bite and give up something for him. That is not to say that there aren’t any teams willing to give him a chance and see if they can fix whatever flaw the Royals have been unable to figure out. I’m sure Dayton wants something of value in return, and it’s going to be hard to find that for a guy who has been one of the worst starters in baseball history. Oh, and one who is making almost $5 million a season. Good job, guys. Hochevar is that blind spot in management’s eye. But he could be traded, and I would have to believe that either a team hurting for pitching(like Colorado) could take him in a deal or a team who likes reclamation projects(like Oakland). But Dayton needs to lower his asking price. You can’t get a future Cy Young winner for Hochevar. You can’t even get a solid reliever for him. Maybe a player to be named later or cash. Lower the bar, GMDM. Then you can jettison Hoch out of town. I would be willing to chip in bus fair. Put it on my tab. The end of the line is near for Mr. Hochevar now. It is time for him to either sink or swim, and history has taught us that sinking has a very high chance of winning. The Royals took a lot longer to get to this point then we fans have, but they have gotten there nonetheless. This is a make or break season for Kansas City, and having the Hochevar we have seen for the last five years can not be an option for a team wanting to contend. If Luke wants to be a starter, he needs to show it from the pen at this point. Being a solid reliever isn’t a bad gig either. Either way, you are collecting a Major League Baseball paycheck. If you don’t perform, the checks stop. Time to be Cool Hand Luke and be the guy who can dominate a team like the Tampa Bay Rays. Otherwise he won’t be calling Kansas City home. It’s Not All About the Pitching, Dummies!